for the Most Beautiful Homes. While granite can be beautiful and unique with its bright color variations and busy veining, Calacatta marble has a striking look that is inimitable by any other stone. 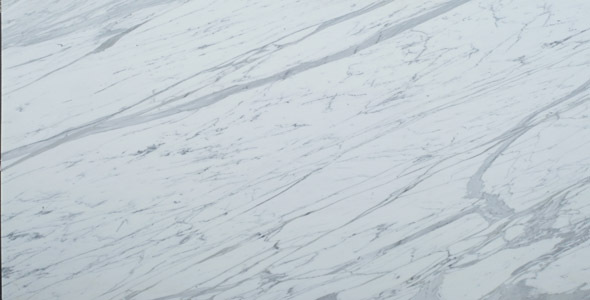 Calacatta is very unique as it contains more dramatic and unstructured veining than your typical marble, yet still has a subtle background unlike granite. Calacatta has a global appeal with designers, architects, and high end builders. Frequent applications for Calacatta include bathroom vanities, shower walls, and tub surrounds as bathrooms are seen as a place of opulence to many, however, the use of Calacatta in other areas has become more popular over the years as well. 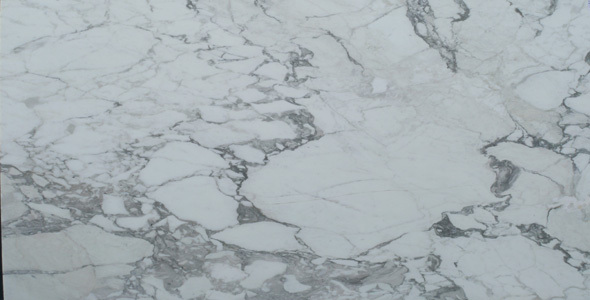 Fairfax Marble and Granite's Calacatta selection is among the nation's largest, with over thirty different batches to choose from, including the infamous Calacatta Gold. Calacatta marble is exceptional in that it is only available from one quarry in the world located in Carrara, Italy. This fact is often perplexing to consumers, who confuse Calacatta marble with Carrara White marble, which also comes from and shares its name with this region. Calacatta production however is limited and well-controlled from this quarry. Seasonal factors also affect production as quarrying becomes very challenging in the peak winter months on the mountain top in Carrara. Both of these factors lend to the rarity, and expense of this natural stone. 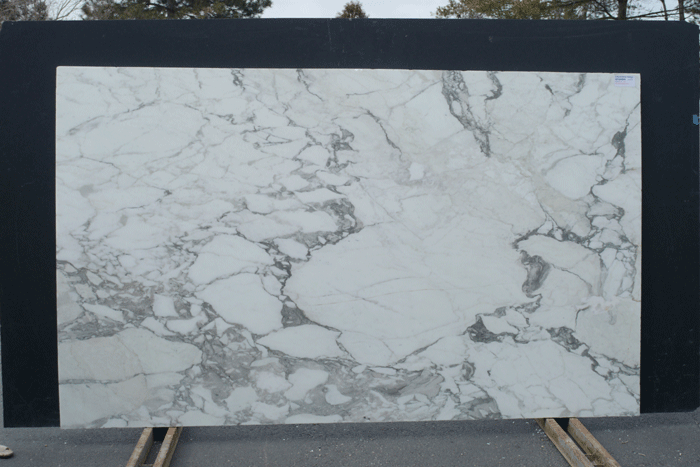 Fairfax Marble and Granite carries Calacatta slabs in several locations, including Fairfax,Chantilly, Sterling in Virginia, and Elkridge and Crofton in MD, and King of Prussia Pennsylvania providing easy access to viewable slabs from convenient locations. 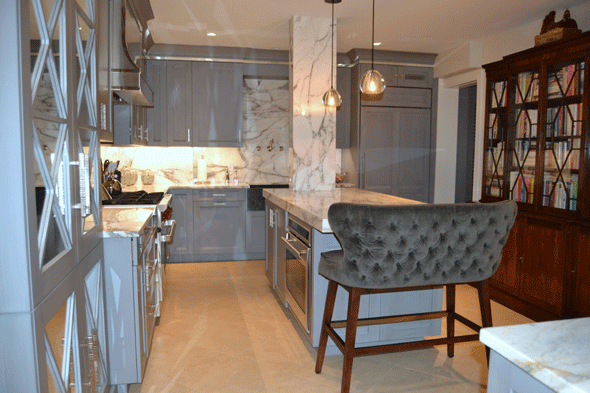 Visit United Granite if you are looking for marble countertops in MD. Visit This Web Site if you are looking to buy marble countertops for your home in VA, NJ or in MD. Finally you can also visit our most recent location addition http://unitedgranitepa.com/ if you are in the market for countertops in Pennsylvania market. 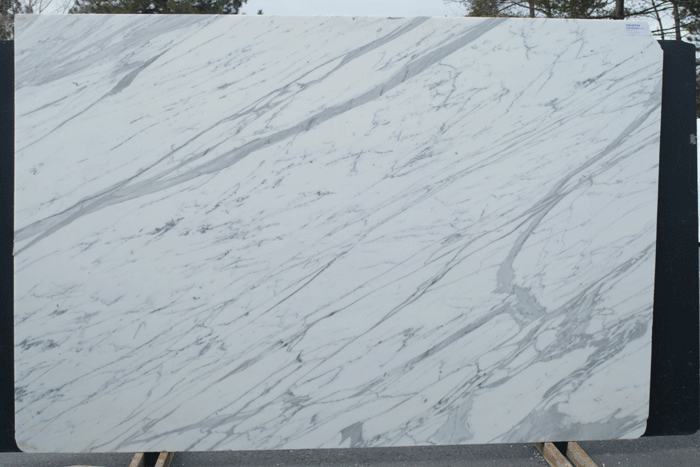 The difference between Calacatta and Carrara marbles can sometimes be confusing because they both are white or grey with veining, however, there is a visible difference distinguishing the two. Calacatta will contain lesser veins, yet the veins will be striking and powerful. Carrara marble on the other hand will have more veins, but the veins will appear softer, and blend into the stone better. 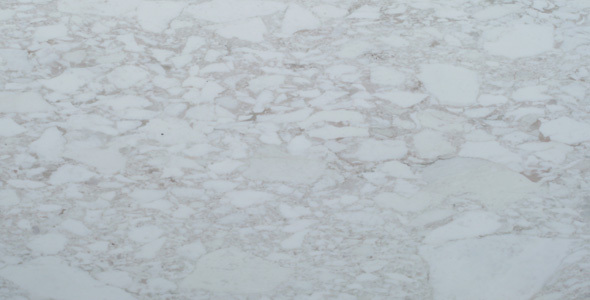 Carrara is a marble that is widely used as bathroom applications, as well as floor applications. In its home country, Italy, Carrara marble can be found on pretty much every application ranging from kitchens, to floors, to bathrooms. Carrara is considered the standard of marbles. Its colors usually range from grey whites to grey greys. 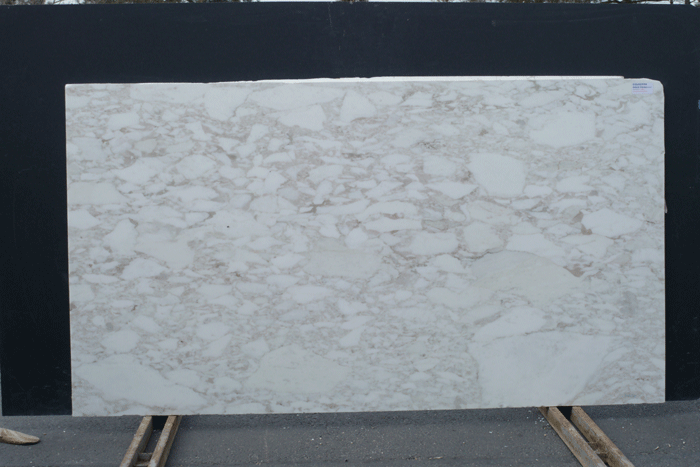 Calacatta is a distinguished marble known for being exotic and containing wild veins and beautiful structure. Calacatta stands out among most marbles because of its clean, white to cream backgrounds, with the very distinguished veins. 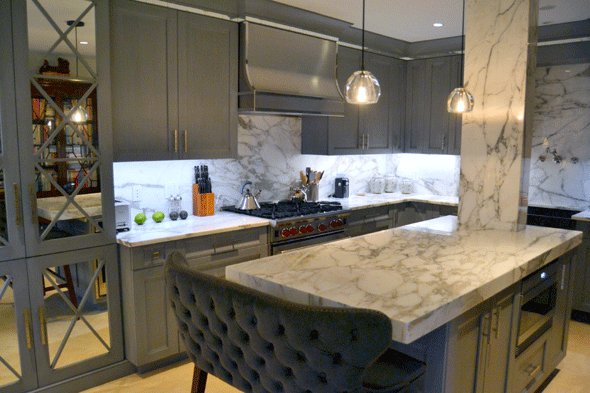 Most other marbles will not contain both the subtlety and boldness that Calacatta has. Once in their slab form, all ornamental marbles will be topically finished. They will either be polished, honed, or leather (irregular surface). There are slight differences in the care and maintenance between the different finishes. Polished marble slabs reflect a mirror-like finish, and are shiny and slick. Scratches can be distinguished more easily than on a honed slab, and while the polish may add protection against staining, its reflective surface can sometimes take away from the natural look exotic marbles are known for. The feel of honed marble would similarly compare to the feel of a chalkboard – dry and soft. Polished slabs are slicker, and usually have a reflective, mirror-like shine to them. As marble can also scratch and etch, honed finishes provide comfort in that scratches or etches may better blend into the stone, as opposed to on polished finishes. Fairfax Marble and Granite distinguishes itself from other stone vendors by providing exceptional, unique stone slabs in a value driven, business friendly, professional environment that is committed to the highest level of customer service. Fairfax Marble & Granite's natural stone product line includes;Granite, marble, travertine, limestone, onyx, quartzite, soapstone and Engineered stone product line includes; Cambria, silestone , Zodiaq and Caesarstone. 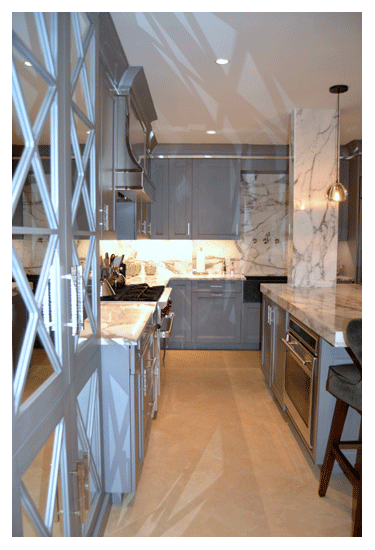 Granite & Marble Slab Showroom : Address : 6315 Howard Ln. Elkridge, MD 21075.